This report highlights an approach that builds a step of interim employment into the continuum of workforce development services for young adults. This report offers insights into the complex work of developing and maintaining relationships that cross institutions. Immigrant workers are a key segment of our workforce, and expanding opportunities for this group benefits our economy as a whole. How can immigrant-serving organizations and community colleges unite to achieve this? How can workforce development and immigrant-serving organizations work together? This report looks at sector programs and the experience of a network of young adult and sector practitioners. This report captures the insights of a variety of service providers helping to connect young adults to jobs in today’s labor market. 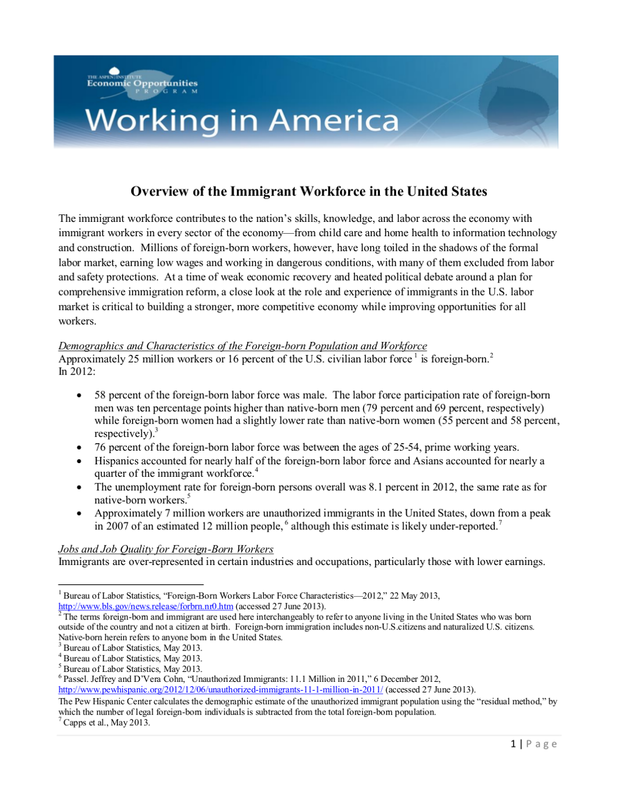 The immigrant workforce contributes to the nation’s skills, knowledge, and labor across the economy with immigrant workers in every sector of the economy—from child care and home health to information technology and construction. This document is a profile of a construction pre-apprenticeship program and provides information about the program’s history, training design and curriculum, funding, partners and industry engagement.